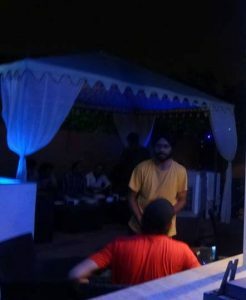 Where to buy Roof Top Tents for Party ? 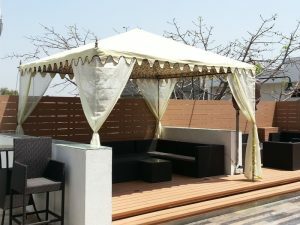 Our Frames are very sturdy and stable structures, we give broad base plates at the bottom of each pole to make the frame stand strong even during winds and rains. 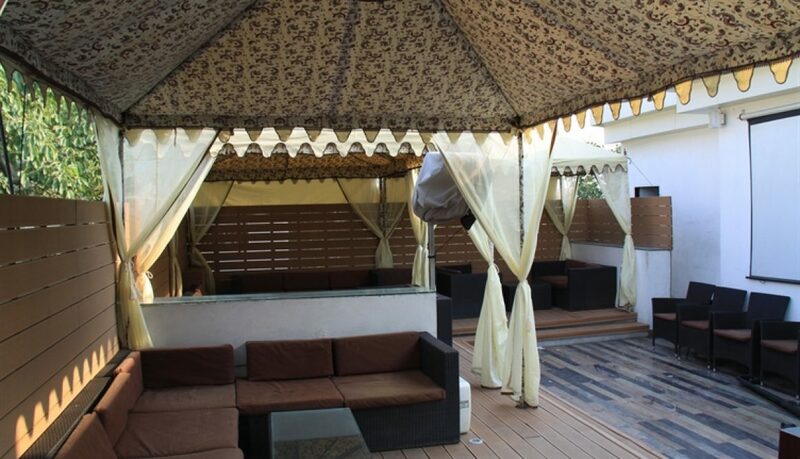 The advantage of a frame tent is that it can be easily pitched on the concrete floor of the terrace and it has no center poles, so you have the full inner area for utilization. 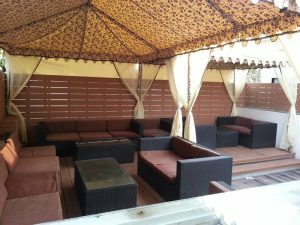 The frames are very easy to erect and dismantle, so it has more functionality than the traditional tents and canopies. 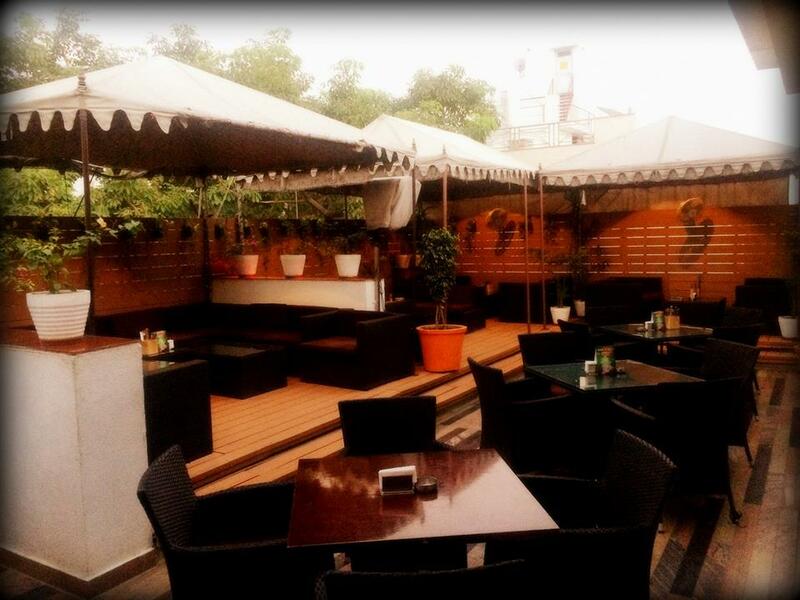 We are presenting a picture of the Roof Top Tent used in a Restaurant here in New Delhi. 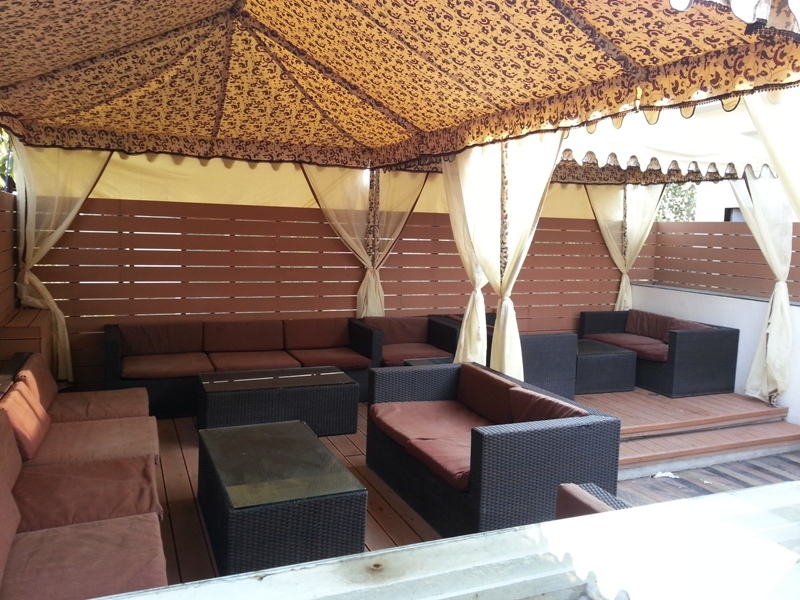 As you can see, the sitting looks marvelous with the Cabanas on the Terrace ! 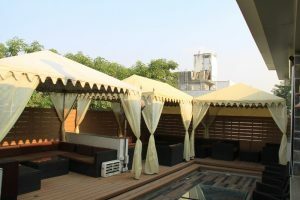 Yes, it is definitely more stylish and upmarket to put small tents and cabanas than putting Umbrellas for shade and cover. 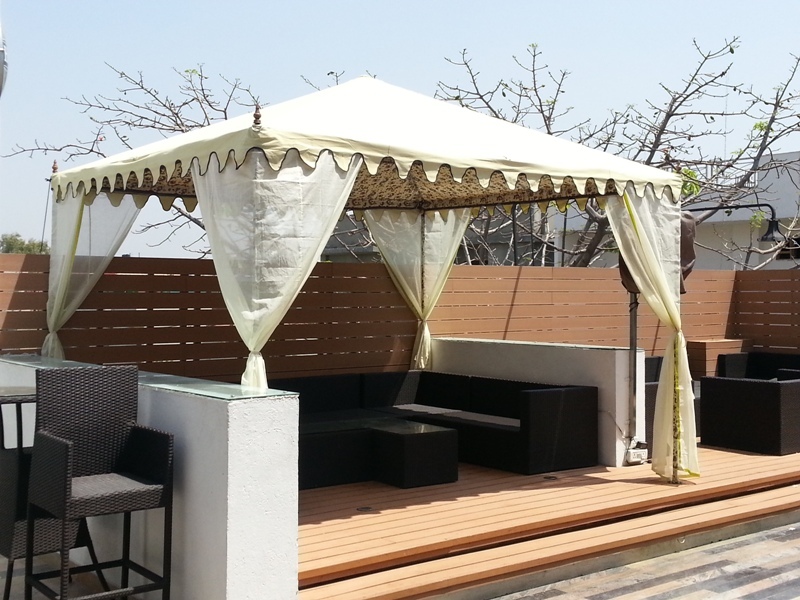 We are leading manufacturers and exporters of Roof Top Tents and Frame Tents for the Terrace.